I am seriously in a mood of trying different folds these days,n with martha stewart scoring board trying them is much easier:).Today i have tried a accordio fold card with some changes than a regular one,n happy how it turned.But definitely not happy with the photographs,the colors where not this bright actually,some how i couldn't capture the original colors even after trying for long time.The beautiful papers are from basic grey, picadilly pads,its has some nice prints n happy colors.As i said,lili of the valley stamps are my newest addiction these days,itching to get the newest ones,they were super cute. wow this is such a beautiful card i love the fold and the cute image... you have colored it so well...the pp is so lovely ...the colors look simply amazing!!! Wow such a beautiful card and your colouring is amazing, one of my fave LOTV stamps. Thanks for joining in at the glitter geeks blog challenge. Kavi this is absolutely stunning. gorgeous colouring and awesome awesome details! thanks for joinin us at MTTC & good luck!!! Many thanks for joining us at Glitter Geeks this week. Sweet Card love the folds, thanks so much for playing with us at Paper Creations Ink. What a lovely Spring card! Thanks for sharing it with us at Paper Creations Ink! Hope to see you back again soon! Wow, you sure put a lot of effort into this card. I love all the details. Thanks for joining us at Glitter Geeks. Pretty creation. Love the image too. 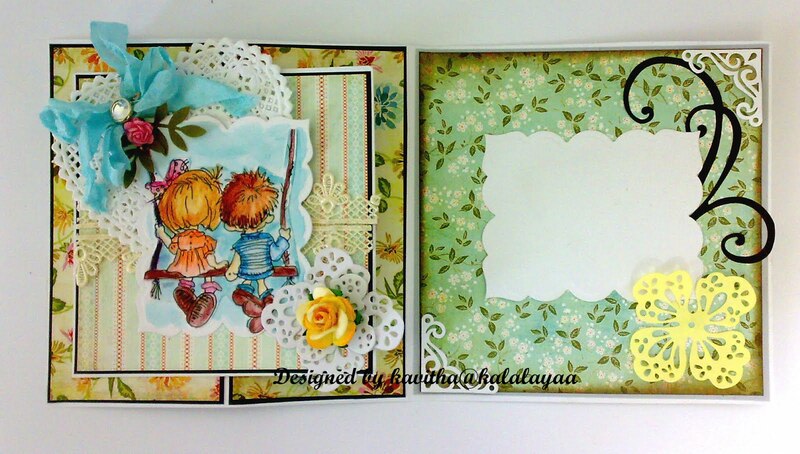 Such a very pretty card, love the darling image, love the pretty paper and love the pretty die cuts. 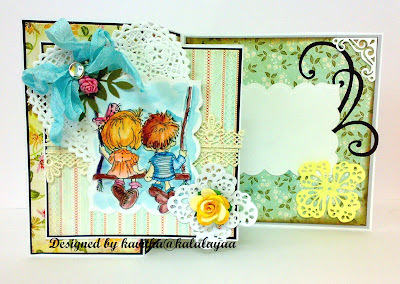 Fantastic take on the "more than one fold" challenge, thanks for joining us at Hooked on Craft. Beautiful accordian card! LOTV stamps are super cute, and you've done a wonderful coloring job! 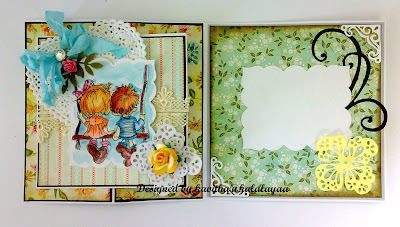 Thanks for joining the SweetStamps.com Think Spring challenge and good luck!